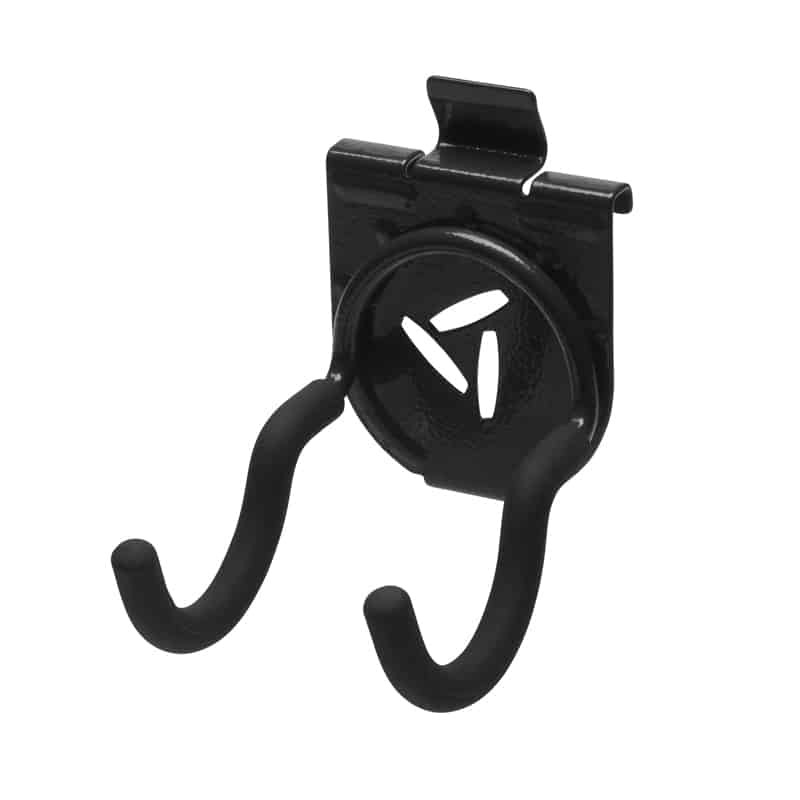 The Scoop Hook is great for hanging skateboards, outdoor chairs & tools. 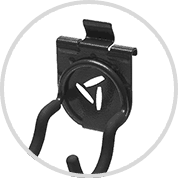 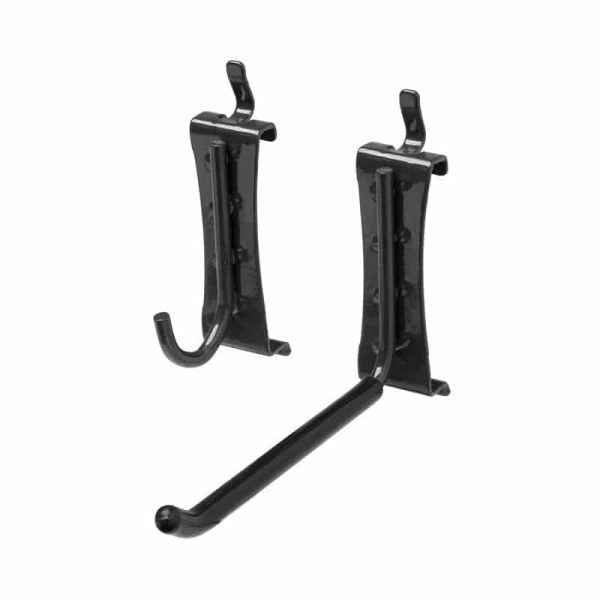 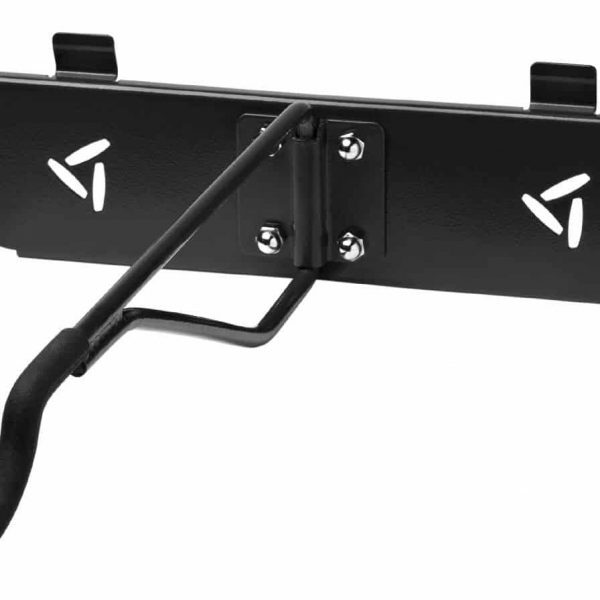 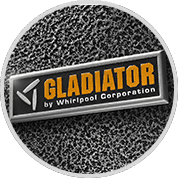 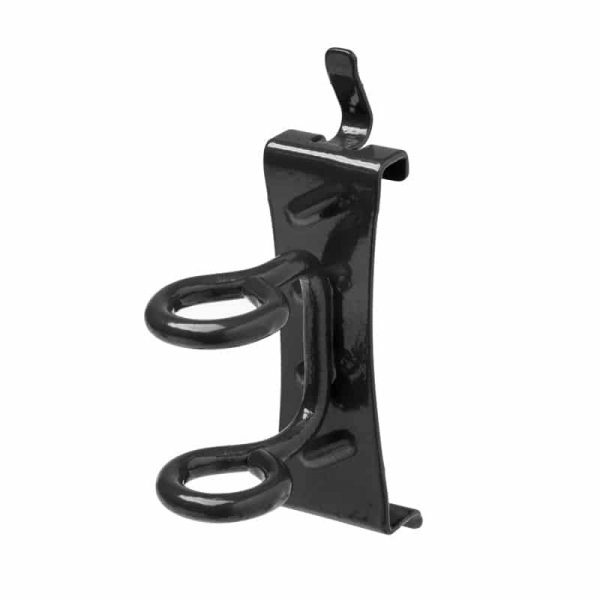 Friction locks keep Gladiator hooks stable when loading and when storage needs change the Scoop Hook can easily be repositioned on Gladiator Gearwall and Geartrack. 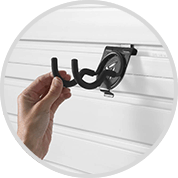 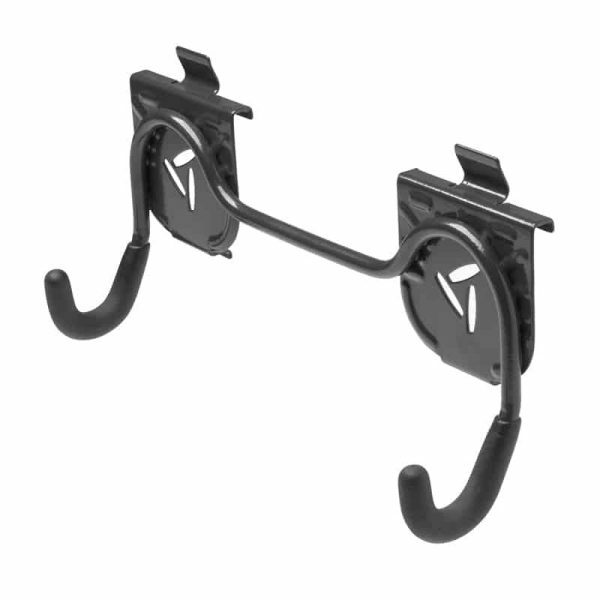 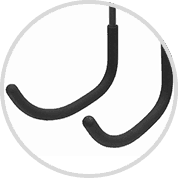 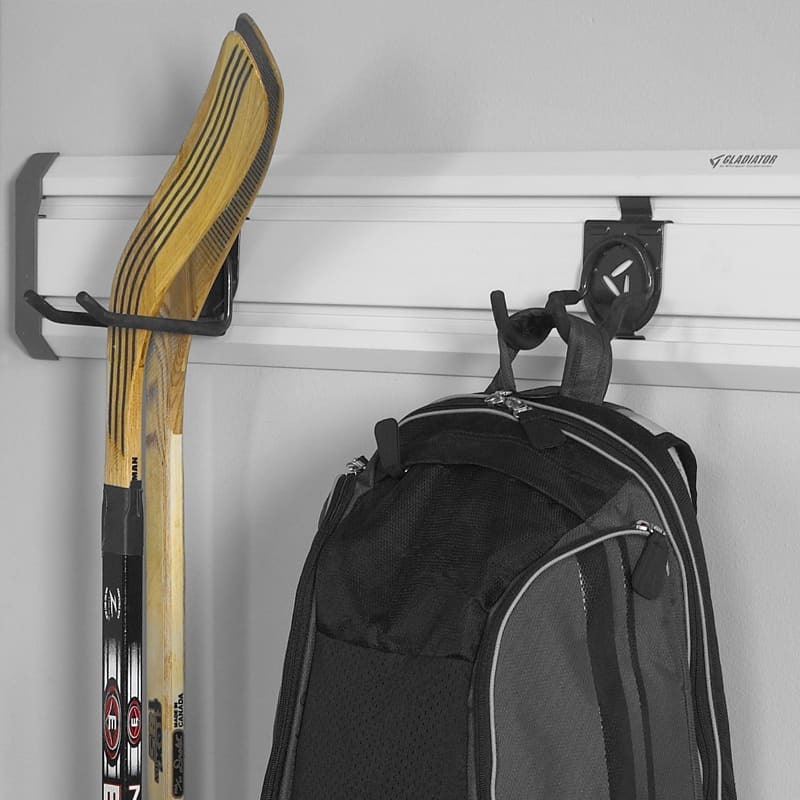 All hooks are powdercoated and feature a protective soft touch overmould to prevent scratches.